Ballachulish. Glencoe. Scotland Accepted in the Local Press. John Chapman. Stunning, stunning, stunning ! 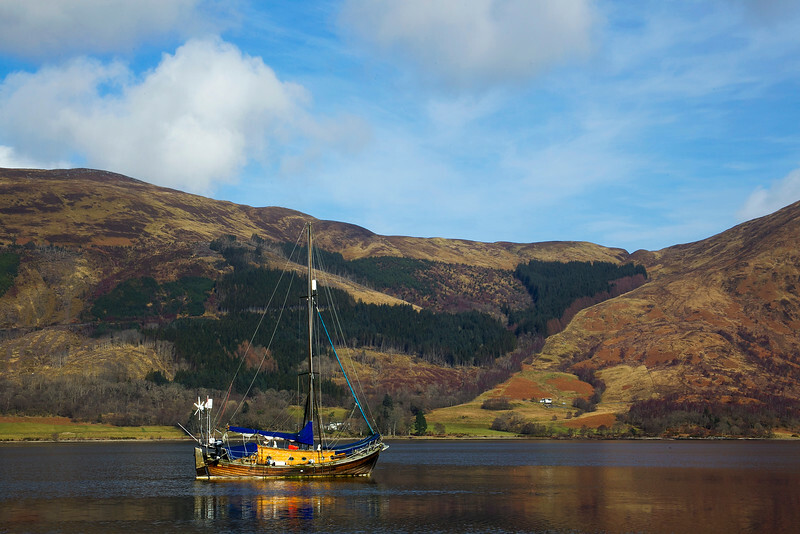 What a landscape, what a boat, what a composition ! Super shot in several ways! This is wonderful John! Great capture. Love the splash of bright colors the boat adds to this shot! Great composition John, love the DoF & colors!